Start with the kitchen. The kitchen is one of the most important rooms in the home. When it’s cluttered and messy, it is hard to get anything done. You can organize in a number of ways, including using labels. Label your spice containers. Use a drawer divider, and label it to keep your junk drawer organized. Label the front of shelves with the items that belong in each area, such as canned goods, boxed dinners, cereal, etc. You can organize your bedrooms in much the same manner. 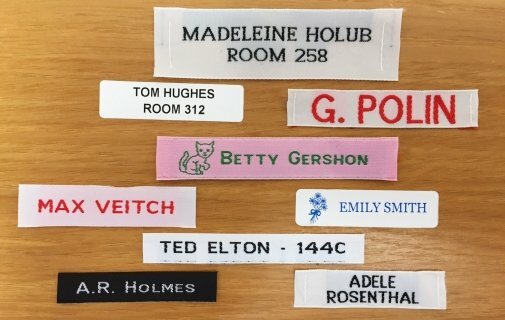 Labels come in quite handy when it comes to children’s rooms. Labeling bins for toys and books helps little ones to easily put away their belongings. If your children share a room, adding a label with their name to treasured items can help keep arguments at bay. Make a place for everything, and your kids can keep everything in its place—hopefully! Organizing your office can represent a challenge, but it’s a task that can be tackled. A filing cabinet should be your best friend. This is the place where you can store all of your important documents, files, and other paper items. Just label each hanging folder clearly; then, you will know where to put other items in the future. You can even carry over your organization to the bathroom. Imagine having all of your soaps, shampoos, hair products, makeup, and other bathroom items neatly sorted and organized. You can use an existing cabinet for organization, or you can add small bins with labels. Finally, the last place you need to organize is the garage. For most people, a garage becomes a catch-all for any items that don’t fit in the house. With a few shelves and labels, along with some different sized bins, you can quickly organize your holiday decorations from your winter clothing. You can also use small jars for sorting nuts, bolts, and screws—with labels, of course! As you can see, getting organized is made easier with labels. You will have lots of fun creating the assortment of labels for your items. Once you have a place for everything, staying organized becomes much easier. When everyone in your family sees that there is a specific place for items, they will be much more likely to return them to the right spot. To learn more about organization, as well as our wide selection of labels for both clothing and other items, contact us today at It’s Mine.